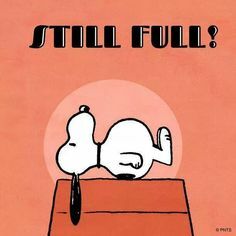 Like me, you might be feeling a trifle too full in your tummy after Christmas Eve, Christmas Day and Boxing Day repasts of turkey, ham, seafood and pudding. Perhaps these have been washed down with beer, champagne, wine and liqueur? And, there’s still New Year’s eve and Day to face! The stomach is a special organ. Think of all the great expressions that we associate with it: we get butterflies in our stomachs when we fall in love; we have gut feelings when we are being insightful, and armies are known to march on their stomachs. To keep the stomach in a healthy condition, it needs to be well-exercised. That’s why we practice yoga postures utilising the bandhas – Mulabandha and Uddiyanabandha – and regularly include the abdominal strengtheners, Navasana and Paripurna Navasana. Especially when you’ve been overeating and want to get back on an even keel, it’s helpful to do poses that stretch out the stomach and other organs. Supta Virasana is probably the premier pose for opening up the digestive area of the body. Here’s a couple of ways you can do it propped up on supports. 1. This is my favourite version. I have two lengthwise foam blocks supporting my spine and head. The blocks can be placed vertically (upright) for maximum lift or on their lowest end, depending on how the body accepts the pose. 2. Here’s Daniel using two bolsters plus a blanket for the same pose to support his back and head. You can also use a block between your knees if you struggle to keep them together. If you find Supta Virasana difficult for reasons relating to your back, knees, ankles or feet, try this passive backbend, Setubandhasana. One of the main benefits of this pose, I find, is the way it stretches and opens up the whole front of your body. You discover how much tension you may have been holding in the abdominal area. As a fringe benefit, the pose expands your chest for better breathing. In my yoga practises over the years, I’ve noticed that Supta Baddha Konasana done for 5 minutes, followed by Supta Virasana done for equal time create a calm state of mind. Here’s how you might use the props for a relaxed opening in Supta Baddha Konasana. Keep these poses in your yoga tool box and bring them out when you need to counteract the consequences of any holiday indulgences.